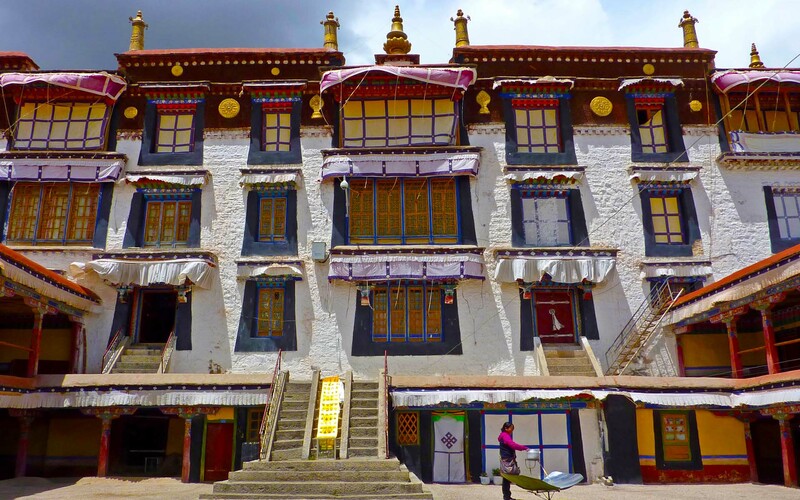 Those with limited time opt for this trip, which covers all the important landmarks of Lhasa and providing you with immense insight on the sights and sounds of Tibet. 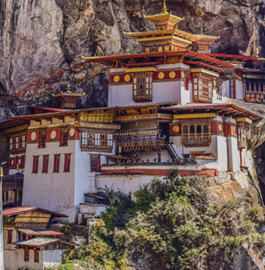 Those interested can also take a day tip to interesting places of great religious and historic significance such as visit to the 15th century Ganden Monastery and explore the Drayerpa Cave, a hermitage built on a hillside of the mountain at the altitude of 4885 meters. The hermitage is composed of many meditation caves of many master yogis including Emperor SongtenGampo and Guru Rimpoche and several of his disciples. Arrive in Lhasa by flight from Nepal or via mainland China or take the world's highest Train route to Lhasa. From Nepal an hour of Trans Himalayan flight considered to be one of the most beautiful air routes in the world. The flight offers you a bird’s eye view of the entire Himalayan ranges and you get to see 8 of the highest summits in the world that exceed 8000 meters, including Everest (8,848m), all on this single flight. You can feel the thin air as you land. After an interesting 45 minutes drives we reach our hotel in the Lhasa City. An easy day with just mild activities and a good rest is advised for acclimatization. Tibet tours involves a good walk up and down the monuments. Today we visit the beautiful Potala Palace built during the 17th century. 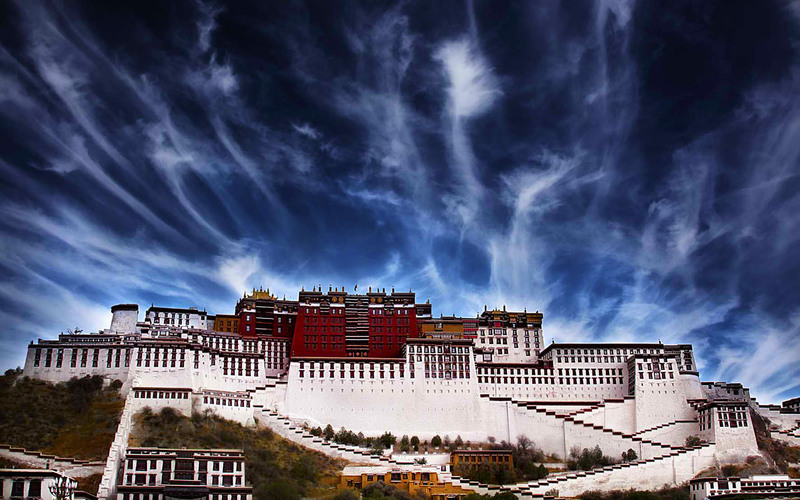 The imposing structure of the palace dominates the landscape of Lhasa. 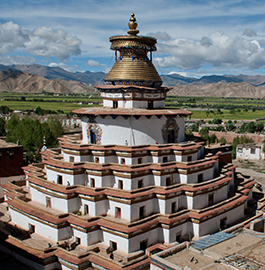 This 13 storied, 1000 room citadel served as the headquarters of the former Tibet and was home to successive Dalai Lamas who, from the latter half of the 18th century, used it as their Winter Palace. Potala Palace provides amazing views of the entire city. Later in the day we will visit the Drepung Monastery which was founded in 1416. We walk up through chapels adorned with numerous murals, art and artifacts and also observe nuns and monks chanting and performing religious discourses. After the tour, we drive back to the hotel for a good rest. 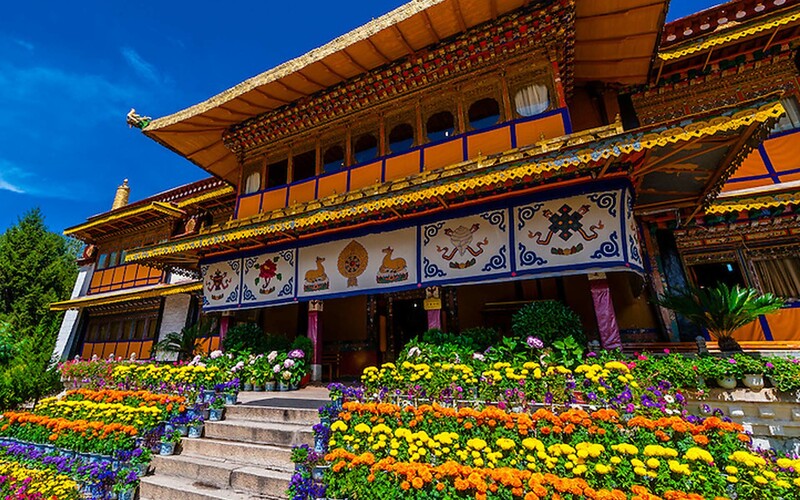 After breakfast, we visit Norbulingka Palace, which is the summer palace of the Dalai Lama and houses what is considered to be the largest man made garden in Tibet. After Lunch you will be taken on a guided tour to Sera Monastery, Located at the foot of Tatipu Hill in the northern suburb of Lhasa City. It is interesting to watch the unique debates among Lamas in the special debating field normally from 3 p.m., Monday to Friday. The debate usually lasts about one hour and a half. Later we drive to the Jhokhang, situated in the heart of Tibet. 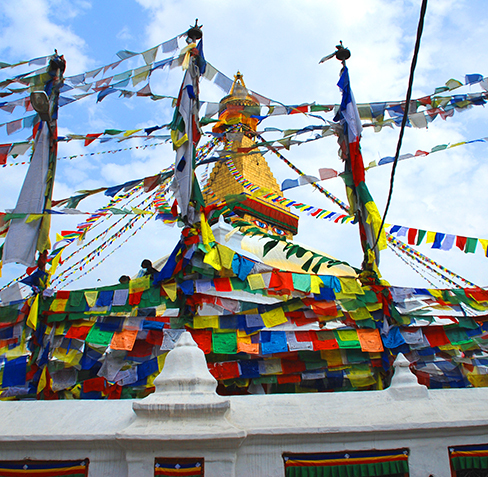 Surrounding the Jokhang Temple is the bustling Barkhor market place, which is the religious and social focus of Lhasa. After the day’s tour, you will be escorted back to your hotel. This day is for you to spend it as you wish. 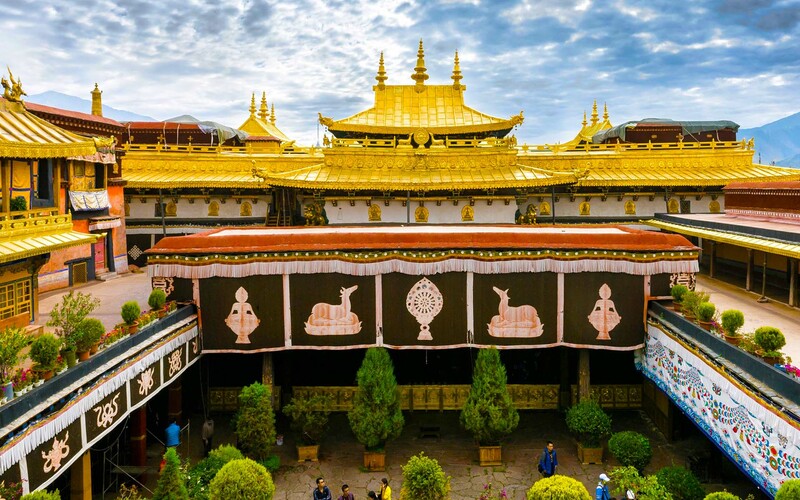 Explore and soak in the sights and sounds of the old city, revisit a favorite monastery, go for souvenir hunting in the busy local market at Barkhor Square, or simply sit in a café and watch pilgrims as they circumambulate the Jokhang. 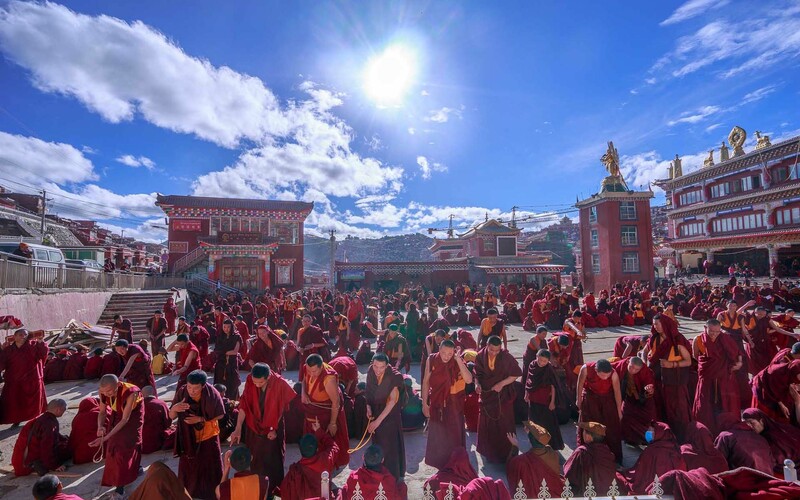 There is also the option of an additional tour to places such as the Tibetan Medical Centre, Ganden Monastery and Tsurphu Monastery or Drayerpa Cave, with over 30 meditation caves located in a beautiful valley with a stunning landscape. But this additional tour will incur an extra cost. After breakfast, you will be transferred to the airport to connect with your onward flight.